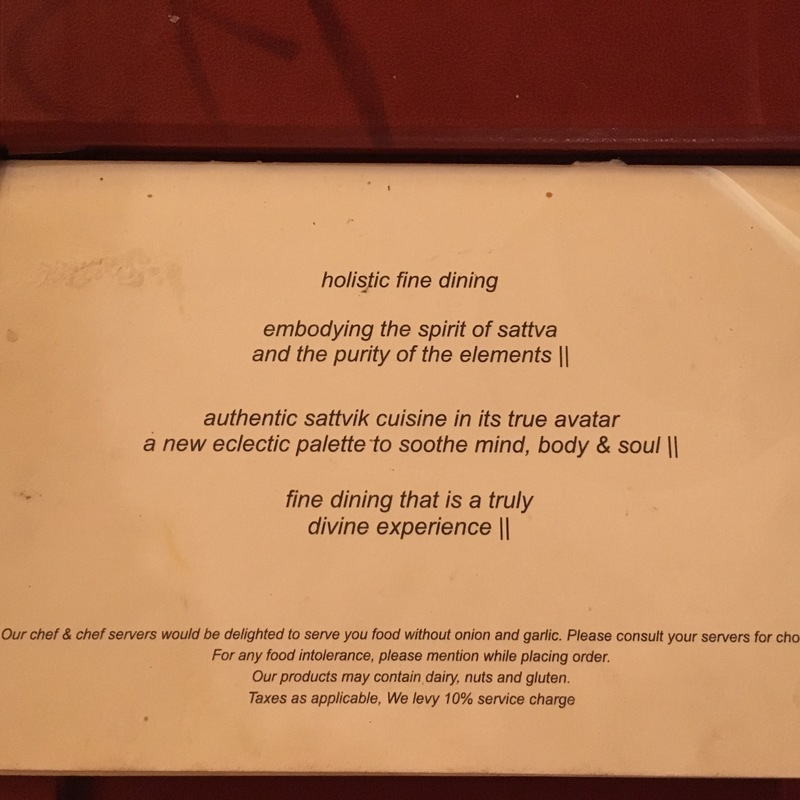 Sattvik, as the name suggests, is a pure vegetarian fine dining restaurant. Sattvik is a 9 yrs old restaurant and has no other outlets around. This place stands true to its name, pure and all natural! From the ambience to the food. On talking with Mr Om Prakash, the manager, I got to know a lot about this place. He told me that they made the interior walls with mud and straw to give Sattvik a natural feel/ambience. Furthermore, the dim lights and light music are perfect to calm your senses. And the food adds to the mood! When I visited this place there was some special thali offer going on. Most noteworthy, they offer food without onion and garlic too. But you have to specially ask for it. Also, they have provisions for Jain food. 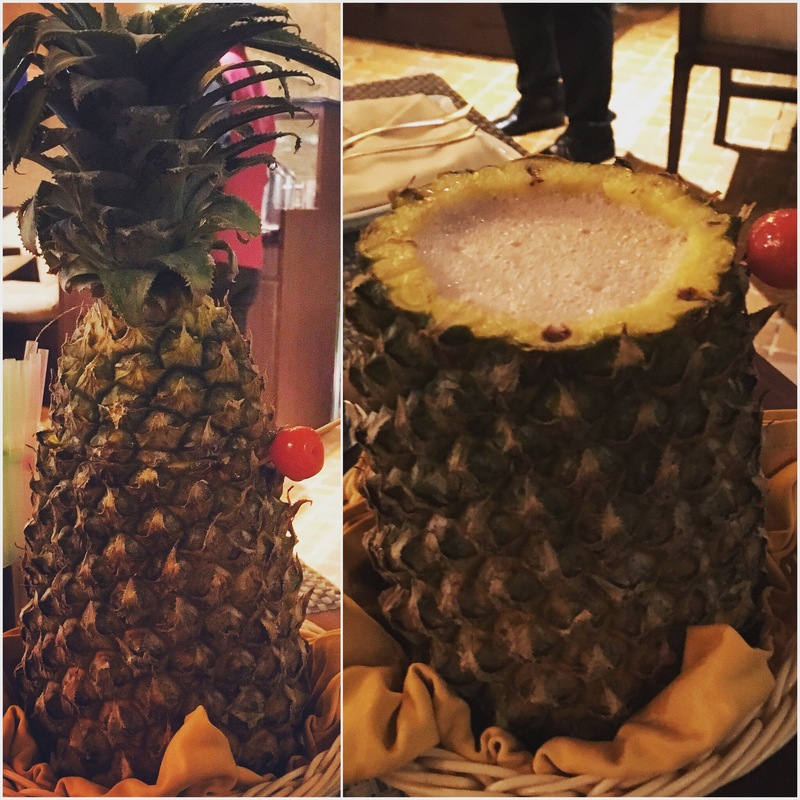 I got a drink named Nirvana, which was pineapple, blueberry and orange juices in a pineapple shell. It was a treat to my eyes and yummy like anything! Disha and Moksha were some of the other suggested drinks. Finally, I got my Yukta Aahaar thali that I ordered for, indeed a huge feast. It started with a paneer tikka, salad, papad, 2 vegetables; paneer and mix veg, along with a makhani dal. Apart from this, there was rice and bread of your choice. For sweets it had kheer. 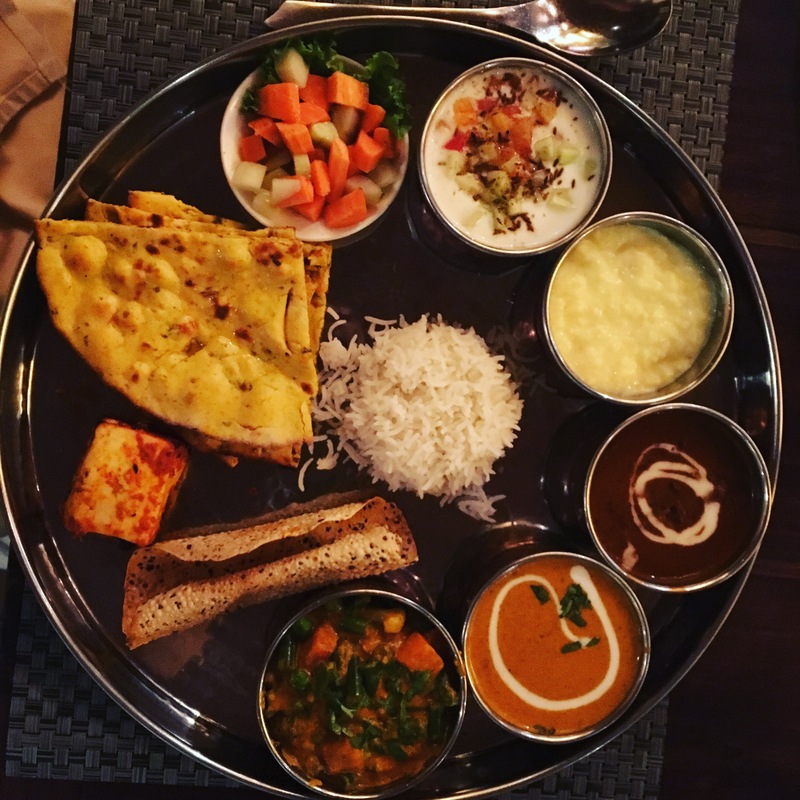 This thali is an unlimited thali and enough for one. You can share it but won’t consider it unlimited then. 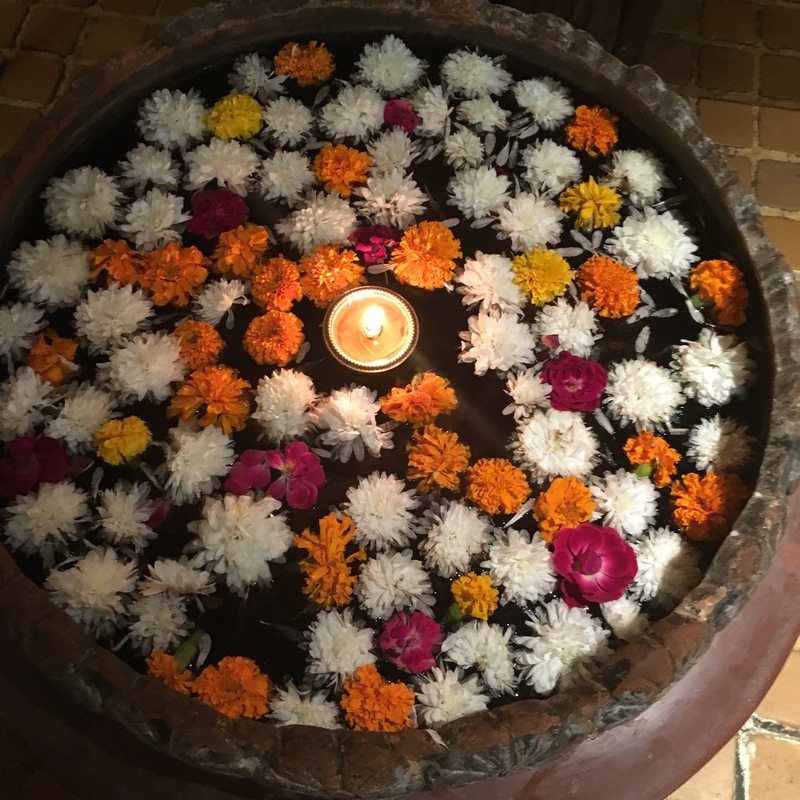 The variety provided in the thali was fulfilling and served hot. The paneer vegetable was my favourite, thick gravy and texture. yummy as hell! The makhani dal was good too, creamy. But I did not like the mix vegetable that much, supposed to cook a bit more. The bread was soft, that is the best part. Else most of the times eating cold and hard bread is sad! The raita and kheer were great to go with this thali. Not enough for my sweet tooth, I got Rose kulfi along with Pan ice cream. This just made my day! I was already so full, but loved this combo! The flavours were so strong. 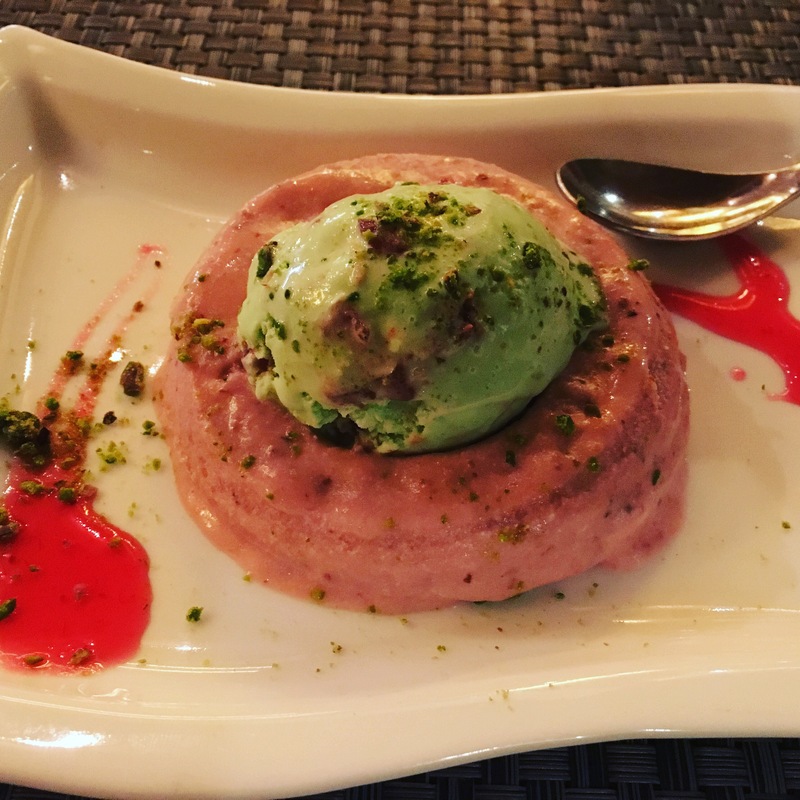 You can feel the fresh rose petals’ in the kulfi and the Pan ice cream had gulkand flavours. The chef, Mr Anoop Singh Bisht mentioned that they prepare these with all fresh and natural ingredients in their kitchen. Even food without onion and garlic can taste this good! Visit if you wanna taste the same! Being Chatori! Thank you Amy! Glad you liked it. Keep following 🙂 Cheers!! !